Recently, Mr. Anand Mahindra shared a video of a Veena artiste Srivani from Andhra Pradesh. In the video, a girl is playing Shankar Mahadevan’s Breathless, and the clip has left many stunned. The track “Breathless” sung by Shankar Mahadevan is a song that goes on without a break, even for a breath. The three-minute song was released in the year 1998. It is popular even today. 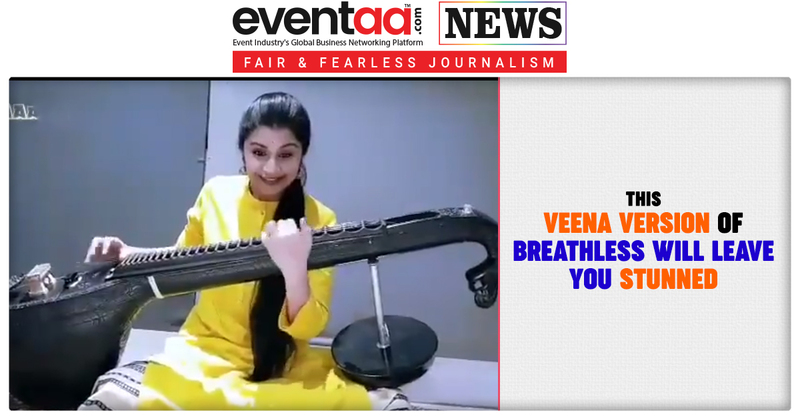 The video shared by Mahindra was of a Veena artiste Srivani from Andhra Pradesh. The video, which went viral on social media, left many mesmerised. While some praised the artiste, others complimented her for making the performance look ‘easy’. That's not as easy as she made it look like. Made my day.